If you enjoy watching Gotham and can’t get enough of crime-fighting, you have several other similar shows to choose from. Let’s face it, superheroes are here to stay! The world just can’t get along without them, right? 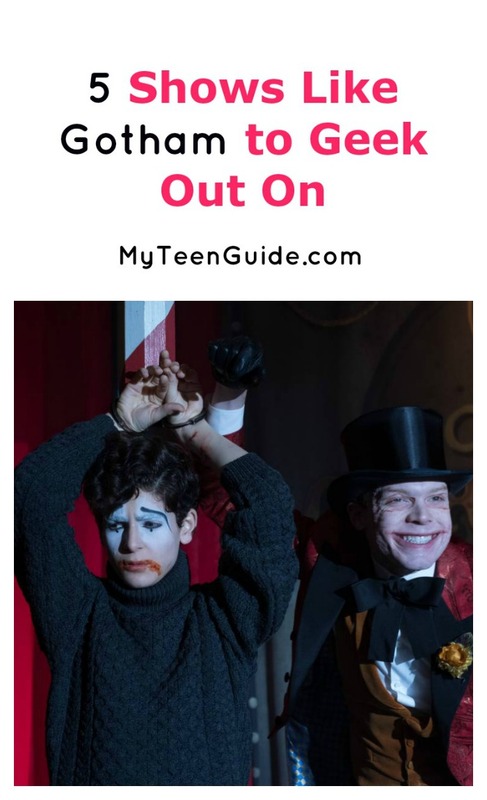 Here are a few more great shows like Gotham to consider when you’re in the mood to binge-watch the good guys defeating the bad. Agents of S.H.I.E.L.D. is adapted from a popular Marvel Comics series. Follow Phil Coulson and his Strategic Homeland Intervention, Enforcement, and Logistics Division team as they help to rid the world of corruption and devastation. This series premiered in the spring of 2013. If you’re a fan of visual effects (both general and makeup-related), you’ll probably appreciate the creativity associated with the production of the show. Agents is currently in its fourth season on ABC. Check out the first season on Amazon ! The Flash, which airs on The CW, introduces you to Barry Allen aka The Flash. He is a crime scene investigator who has the ability to travel at super-human speed. Not only does he take down run-of-the-mill criminals, he also fights other people who also possess superhuman abilities. Filmed predominantly in British Columbia, The Flash actually started as a spinoff of Arrow. As you can probably guess, Supergirl is based on the DC Comics character of the same name. She happens to be Superman’s cousin, which is definitely a perk. This superhero survived the devastation of Kyypton, making her one of only a few Kryptonian’s still alive. Meet Kara Danvers. She hid her superpowers for more than 10 years. Why? Danvers thought the world already had too many superheroes in it. But, when Supergirl finds out that hundreds of criminals (her mom prosecuted) are hiding on Earth, she decides to do something about it. Not only that, her evil aunt wants to rule the world. ABC’s Agent Carter came about as a result of the short film of the same name, which premiered in 2013. The time is the 1940s. The place is Marvel Cinematic Universe, otherwise known as MCU. Not many people know that single girl Peggy Carter is also a secret agent. But, she does her best to balance a personal life with her desire to make the universe a better place. Several storylines in this series introduce characters from other MCU movies. There aren’t enough hours in the day for John Constantine . This British detective spends the majority of his time hunting down supernatural beings that threaten society. Traveling around the country, he uses his skills to rid evil from the planet anyway he can. The show was canceled after 13 episodes, due to low ratings. However, there are plans in the works to bring it back as an Internet series, sometime later this year. So, what do you think? Which one of these shows appeal to you the most? When you want a break from stress in the real world, watching TV shows like Gotham whisk you away to another world of good guys who fight off evil enemies. Let’s face it, there’s certainly nothing wrong with “happily ever after!” Is there? Do you have any other favorite shows like Gotham that you love to watch? Share below!